Surfing in the river translates so well to the ocean, because you’re still paddling on the board, popping up on the board, and riding waves. Yet... it's now quite the same. You’re not paddling out into the ocean and waiting. The wave is always there, so you can ride for as long as you can stay on the wave. On good waves, that’s forever. River surfing also requires traditional ocean surfers to learn new skills: there is no time to get up and let the wave approach you – river surfers have to be riding the second they are pushed from the slack-water into the moving water – and movement is lateral rather than up and down the break. Holding your position in the narrow confines of the wave is the challenge. When the snow melts, the rivers swell up, and the waves become more powerful, the surf is up in place like Montana, Wyoming, Oregon, and Idaho. The last places you would expect to find a surf spot. What Is Bungee Surfing ? I was absolutely stoked to find out about river surfing a couple years ago. Whitewater stand up paddleboarding is getting more and more popular. Riverboarding and river bugging is huge in New Zealand. But not many people heard about bungee surfing yet. And till recently, I had no idea it originated in ...Idaho ! Though thousand miles away from the nearest ocean, Idaho has an abundance of rivers with Snake and Salmon Rivers are among the most famous and popular among whitewater community. But unlike whitewater rafting or kayaking, bungee surfing takes place on a different kind of water - “Fast Glass”, water that is moving fast, but has a smooth surface. After watching the video, and reading a few posts on the companies' blog, I got a general idea how bungee surfing works. But a few things still remain a mystery to me. While you can find a bungee cord online or at your local skateboard shop, I still have hard time figuring out how the patented release system works. Not wearing PFD ( life vest ) will increase your chances of drowning. Not wearing a helmet ( and sometimes pads ) might result in sever injuries. And finally, according to the information provided, bungee surfing is more difficult than ocean surfing. How hard could it be ? It it just for "young and restless", or for all ages ? Is it going to be a new popular mainstream water sport, or just for a few chosen ones and most dedicated ? I already wrote about tidal bore SUP surfing in Alaska. This unique phenomenon only occurs in a small number of rivers around the world. Alaska's Cook Inlet is just one of them. These tsunami-like waves are surfing's new frontier. They can travel for up to 20 miles an hour and can get even stronger as the river gets narrow and shallower, reaching recorded heights of up to 30 feet, offering riders opportunities that can't be found in the ocean. But not every river has a bore. In fact, tidal bores only occur in an estimated 100 rivers in the world and only during extreme tidal ranges. As I wrote in my previous post, the Zambezi River is recognized by rafting and kayaking enthusiasts as one of the top ten paddling rivers on the planet. Home to the famous Victoria Falls, with the rapids like " "Stairway to Heaven" and "Oblivion" , the Zambezi River is classified as Grade 5 - "extremely difficult, long and violent rapids, steep gradients, big drops and pressure areas". Meaning ? It's pretty wild ! Pioneered by river boaders in 1996, it was only a matter of time before someone thought about surfing one of it's standing waves. Depending on the season ( somewhere around mid- January and early July ) when the water level in Zambezi is dropping naturally, it creates an opportunity for some fantastic surfing, both for beginner and expert surfers. 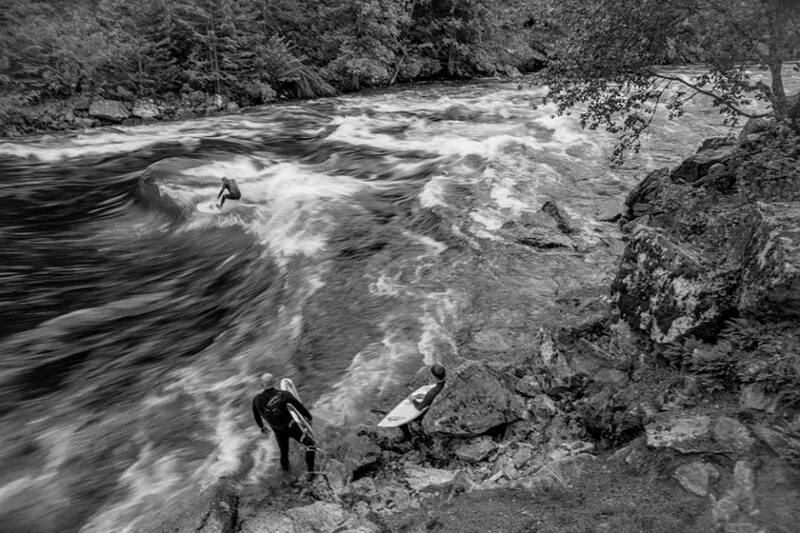 Last year I wrote about a newly discovered sport of river surfing - surfing either standing waves or tidal bores in rivers. It's exact the same thing as "regular" ( ocean ) surfing, except...it's nothing like it ! This new take on surfing brings a dimension of accessibility to the sport, since you no longer need to live near an ocean to jump on a board and ride the waves. 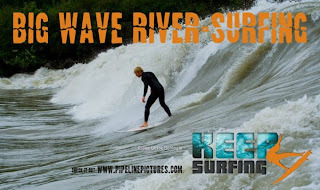 The best part about river surfing is that because of the currents of a river, the standing waves almost never stop rolling, allowing you as much surfing time as you could possibly want. Basically, it's your own ( free ! ) natural water park ! Have you tried river surfing? I am always on a lookout for a new adventure or an outdoor sport that I would like to try. Sometimes it seems like there isn't anything new, original, interesting, adrenaline- full left. And every time I think that, I find something that raises my adrenaline and curiosity levels. I see it once, and that's it, I absolutely have to try it! 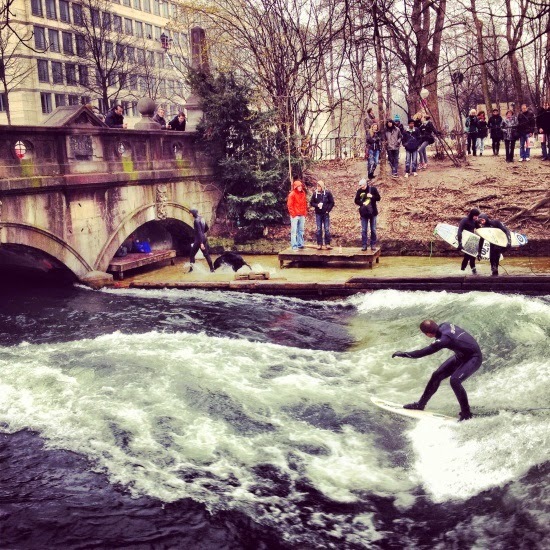 Just like my recent discovery-river surfing. River surfing is a growing sport among river towns in places like Colorado, Ontario, Alberta and Montreal. 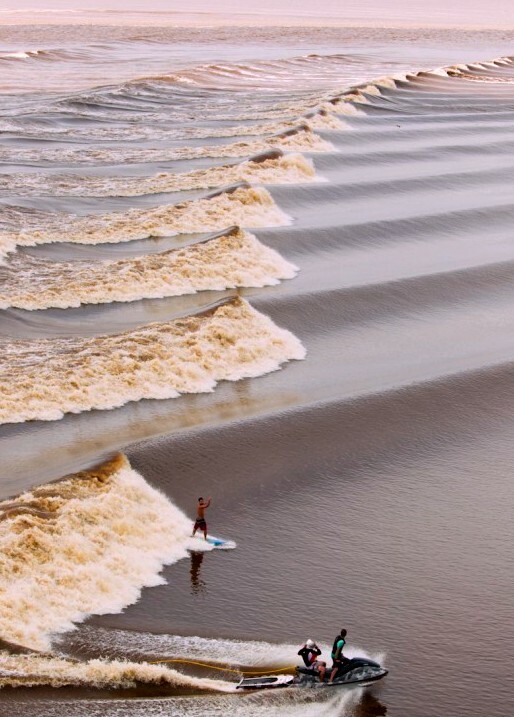 According to enthusiasts, it fosters "exactly the same feel as on an ocean wave," except that you carve along the water.Basically, with river surfing, instead of paddling out to the waves, you locate the safest stop to ‘drop in’ to the river, float downstream until you hit the desired current, and then quickly turn around, paddle against the current, and then get up and enjoy the wave. -if you fall off, the consequences can be "a little scary"
Surfing a river wave is like doing acrobatics on a really fast treadmill. This sport is definitely not for everybody, but I guess, with the proper training and enough persistence, you can learn the basics in no time. 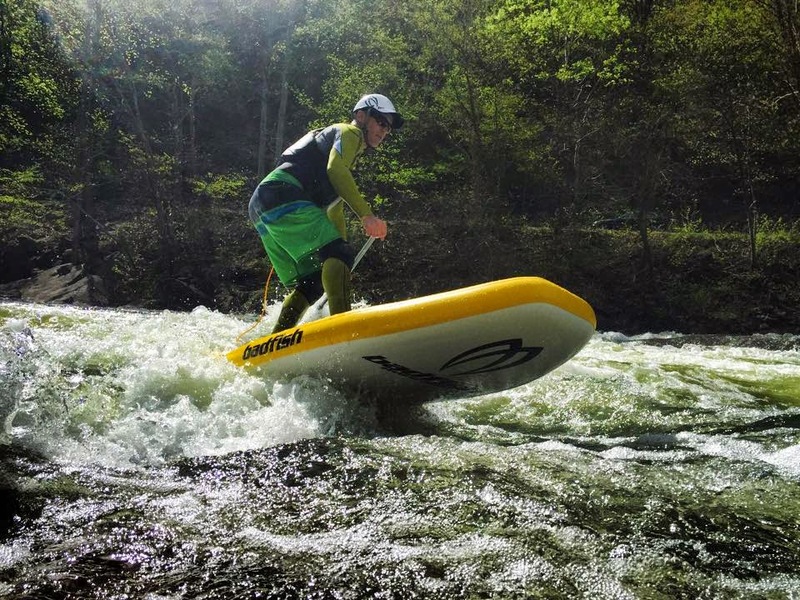 Though river surfing is in its infancy, it continues to grow in popularity. Unfortunately, I couldn't find information on anybody doing river surfing in Washington, but I think it's just the matter of time, before ocean surfers in our state, switch to local rivers. It's closer than the driving to the coast, you don't have to depend on the swell level,and...YEAH, it's more challenging than ocean surfing.